The Reserve Bank of India (RBI) is not about to join the ranks of central banks that have cut interest rates in recent weeks: Turkey, Brazil, Russia, Indonesia and Pakistan. 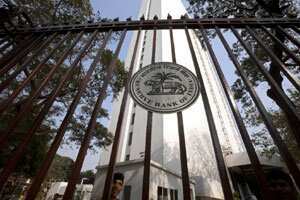 Governor D. Subbarao told reporters on Thursday that he will not bring down interest rates till inflation comes down. Subbarao and his senior colleagues will be taking a call only after wading through rivers of conflicting data. The inflation problem is not to be scoffed at. India has had 20 consecutive months of wholesale price inflation in excess of 8%, a long enough length of time for citizens to believe that double-digit inflation is here to stay. Their high inflation expectations seem to be leading to upward pressure on wages. High food and fuel prices are adding to inflation pressures. However, industrial output data released by the government on Thursday shows that the economic slowdown this year and next will be far sharper than most economists believed. The index of industrial production (IIP) is notoriously volatile, but the trend is clearly downwards. Industrial output has been shrinking on a month-on-month basis. The Mark-to-Market column in this newspaper has pointed out that the three-month IIP moving average has been falling sharply. Other data also points to a significant loss of growth momentum. Car sales, new orders booked by capital goods companies and cement dispatches have been sluggish. An index measuring the intentions of purchasing managers in companies shows a September reading that is the lowest in 29 months. The services sector could have actually shrunk in size in the same month. Indian economic growth was far stronger in July 2008, the last time around when RBI was busy fighting high inflation. The situation right now is more complicated: high inflation exists along with slowing growth. Most economists believe that India will grow at between 7% and 7.5% for the next two years, some 2 percentage points from the highs it reached before the North Atlantic financial crisis of late 2008. The peculiar combination we are seeing right now adds credence to the recent calls for RBI to hold fire this time around. Five senior bankers who attended a roundtable hosted by the Business Standard called for an end to interest-rate hikes. A majority of the economists who met Subbarao this week argued in favour of a pause. “The significant decline in domestic activity, the adverse global environment, falling asset prices, and tightening financial conditions suggest to us that the RBI will likely pause on 25 October. The key, however, will be the Wholesale Price Index (WPI) inflation print for September, which the RBI is watching very carefully for a slowdown in momentum on inflation, particularly core. Our current forecast for the September WPI print to be released on October 14 is 9.7% year-on-year. In our view, any downside surprise to that number will likely seal the case for a pause by the RBI," wrote Goldman Sachs economists Tushar Poddar and Prakriti Shukla in a note after the IIP numbers for August were released. Citigroup India economist Rohini Malkani has argued along similar lines: “We maintain that odds favour a pause in rates at the 25 October meeting as (1) global macro is worse than expected (2) domestic growth is slowing, as reflected in both macro/sectoral/corporate trends (3) inflation remains elevated at 9.8% levels, but could see a drop largely due to slowing global growth and its impact on commodity prices." Much eventually depends on how RBI assesses the impact of the growth slowdown on inflation. The information on input and output prices in the new Purchasing Managers’ Index (PMI) created by HSBC does not indicate any softening of inflation—at least for now. Eventually, the Indian central bank will ask a fundamental question: at what speed can India grow at without sparking off high inflation? There is now reason to believe that this rate is now closer to 7.5% a year rather than 9.5%. In effect, we will need a couple of years of sub-7.5% growth to eventually douse the inflation fire. India seems to be headed in that direction. It may thus make sense for RBI to pause this time around, but send out a strong signal that it is still very concerned about inflation so that companies, consumers and bond markets do not jump to the conclusion that interest rates will soon be headed south.